Following the demand of National Alliance “All for Latvia!” – “For Fatherland and Freedom/LNNK” (NA) Latvian government recently agreed to allocate 32 millions in 2018 to increase welfare for parenting. The increase is especially targeted to support the third child policy, and it will be continued after 2018, as the necessary changes in the package of laws related to the state budget will be confirmed. The demography has been a hot topic, especially in the context of composing every yearly budget of the state, since NA is involved in the leading coalition of Latvia (first time in 2011). 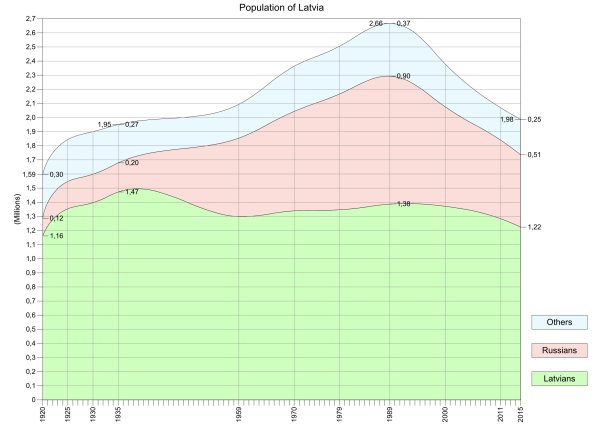 As the birth rates have been critically low since 1990s, Latvian nationalists see the practical and financial support for families, besides the raising the prestige of family values, as a crucial moment to fulfill the aim defined in the constitution of Latvia: to preserve the Latvian nation and language through the times. The importance of this question and a necessity to find immediate solutions is explained with the fact, that the Awakening time generation has reached the average reproducing age / age to have a third child. 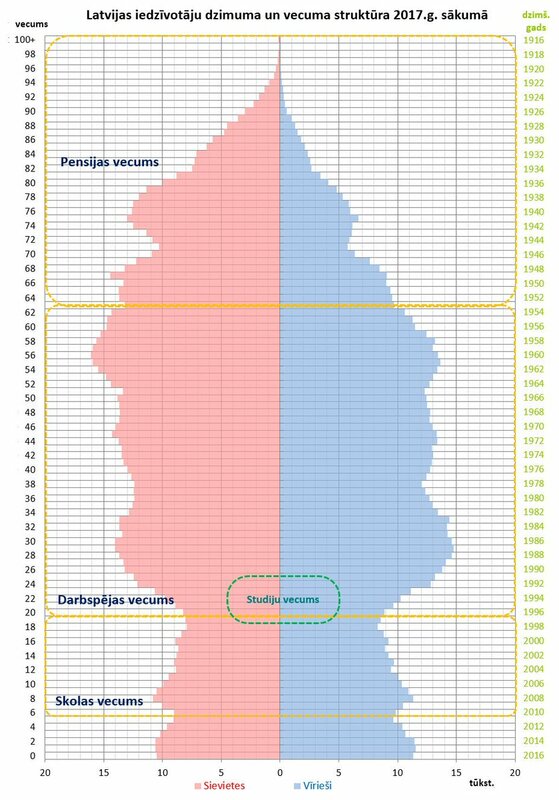 The middle and the end of 1980s besides the uprising against occupying USSR were marked with impressive baby-boom in Latvian society (which could also be an interesting topic – to discuss relation of freedom loving and patriotic nation with birth rates). The baby-boom was followed by a demographic pit in 1990s. If the third child policy is not targeted to the baby-boom generation now, the society falls in to down-warded demographic spiral, which would be very hard to get out of. The immediate support is crucial to amortize the future demographic problems. The Autumn of 2013 and the budget composing negotiations turned out to be a long and harsh fight against the Ministry of Welfare, which was by that time led by left-liberal Ilze Viņķele. At that time the coalition was led by the liberal party “Unity”, which now has lost its influence and is largely splitted following their passionate support for so called “refugee quotas”. Besides immigration and feminism related questions, the fight against the so called “NA demography ultimatum” was one of the largest black PR campaigns in Latvian political history. But at the end the necessary decision was made and negotiations ended successfully and already marked the necessary steps in the future. This success has already brought positive birth rate tendencies. The 2014 was the first year, when more ethnic Latvians were born than died in Latvia, with Latvians as the only ethnical group with positive balance. This led to slow growth of Latvian proportion, which was brutally distorted under USSR violent russification policy. However, it still is not even close in order to reach the necessary 75% for a nation to live and develop in its national state. If emigration will be slowed down and no new immigrants allowed, the future seems to be hopeful. In 2016, the “Center for Demographic Affairs” under NA leadership (Imants Parādnieks – in the picture) was established by the Latvian government and the demography was declared as government priority. The Center continued to work researching and calculating the forms of family support with the goal to create the best targeted solutions. The resulting program was offered to the coalition this summer for the following budget negotiations. As expected, the request of several tenths of millions of Euro to support the program within especially narrow fiscal space, was not warmly welcomed by the coalition partners. During the tense negotiations the program has recently received a support from the government. It will be included into the state budget project handed over to Saeima (Latvian Parliament) this Autumn. Although there is still a lot to do to increase the birth rates in Latvia, this can be valued as a big success.